The Flying V is a 500 acre section of trails. 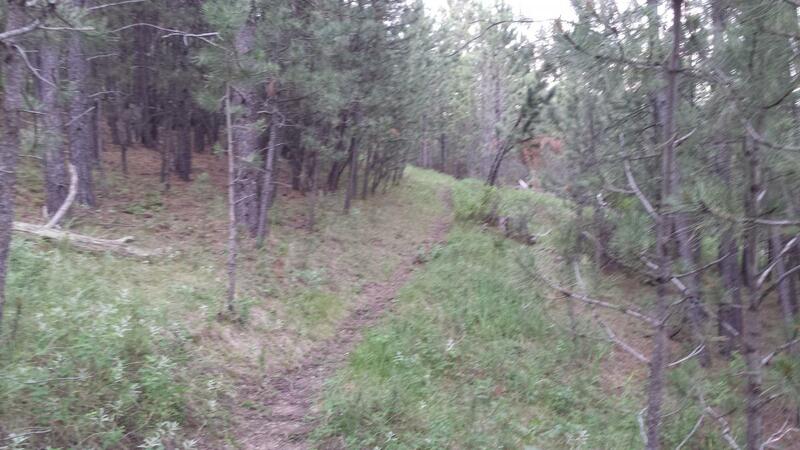 They are a mixture of single track, 2 track, and skid trails. Review: Trails in great condition this weekend. Took No Sweat up to the Hub, over to Upcast down to Jumbo, took the new yellow dot trail back to trail head. A new powerline ROW cuts across the trails, trails need to be rebuilt (about 100'). New single track is being put in and trails marked with paint dots. Always a slog up but fun down. Review: My favorite route is, Founder to Cambria gives nice single track as you climb long and gradual, I then take Breakneck for a steep climb/push to Hog Pen. The Flying V Bike Trails MTB Trail 3.50 out of 5 based on 2 ratings. 2 user reviews.